View cart “From Where Love Stands” has been added to your cart. Some kids just got it. They’re born singing and never stop blossoming. 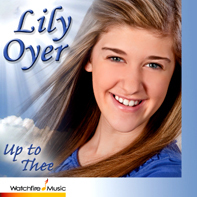 Singer/songwriter Lily Oyer debuted her first inspirational album, Up to Thee, when she was just 12- years old! At six, Lily made her stage debut and hasn’t turned back. At nine, she began serving as a visiting church soloist and discovered the joy of blessing those seeking healing. She and her pianist/composer mother, Laurie Bay Oyer, love to write and perform original songs as well as cover favorite inspirational artists. Lily expresses the harmonious blend of the sweetness and innocence of youth blessed with the maturity of a rich artistry. Influenced by Celtic Woman and Taylor Swift, she not only has an uncanny ability to hit notes with pinpoint precision, infuse them with powerful grace, and clearly enunciate lyrics, she loves and nurtures each and every phrase, leaving you feeling better after listening. Fans rave that the quality of Lily’s voice belies her age, marveling that such a young voice could radiate a timbre and warmth that doesn’t come along very often. She doesn’t just carry a tune, she reaches you. Lily views her talent as a calling to bring people joy and inspiration through her expression of music. Nurses, caretakers, practitioners, parents, counselors, and folks of all religious backgrounds are reporting how her gift is blessing those in need of comfort and rejuvenation. 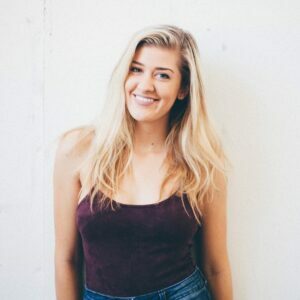 Blessed with gifted and versatile talent, Lily has performed as a soloist for a wide variety of audiences from intimate gatherings to crowds of 1000. Since the age of six, she has racked up over 50 solo performances, countless internet video streams, and has caught the eye and ear of media outlets, talent agencies, church leaders, and Watchfire Music! In 2008, she recorded a demo album of favorite popular songs which led to a trip to New York to be seen by Disney producers and in 2010 released her first inspirational album, Up to Thee. In 2011, Lily won “Outstanding Vocal Soloist” at the ABC Solo and Ensemble Festival. She continues to regularly perform live at retirement homes, schools, churches, parties, at the Church Alive Summit in Chicago, and at coffee houses with her guitar. She also maintains a strong and rapidly growing web presence, hosting a popular video channel with over 1200 subscribers and 370,000 views in 18 months. Her O Holy Night Christmas video received over 2,100 views in just 16 weeks. This singing sensation is well on her way to a successful career and has already established an international fan base from ages 2-92, proving herself to be a professional artist eager to let her light shine on a world that seeks inspiration and hope for a bright tomorrow.